Please also select a seminar to begin the SHRM California Law HR Specialty Credential. Program Overview: If you practice HR or conduct business in California, you need complete competence in the complex legislation that apply. 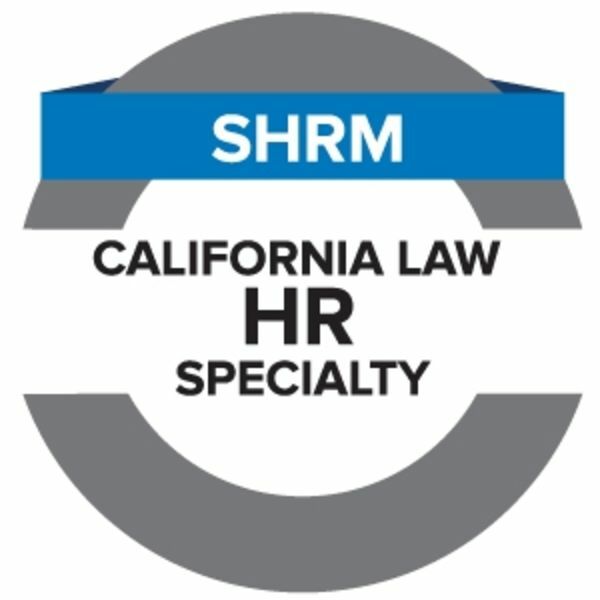 Gain recognition for your California expertise by participating and earning your SHRM California Law HR Specialty Credential. Intended Audience: Individuals who are interested in earning a Specialty Credential that demonstrates knowledge and mastery of California employment law and expertise. Enrollment in the California HR: Applying CA Law to Employment Practices Seminar – available in-person and virtually! A 51-question online California knowledge assessment. After passing the assessment, add your Specialty Credential to your email signature, resume and social media profiles, proving your California expertise to your employer and your network. You do not have to be SHRM certified to earn the specialty credential, however you will receive 25 PDCs toward your SHRM-CP or SHRM-SCP certification or recertification upon completion of the California knowledge assessment. The 25 PDCs that you earn toward recertification when pursuing your SHRM California Law HR Specialty Credential will auto populate in your SHRM certification profile.